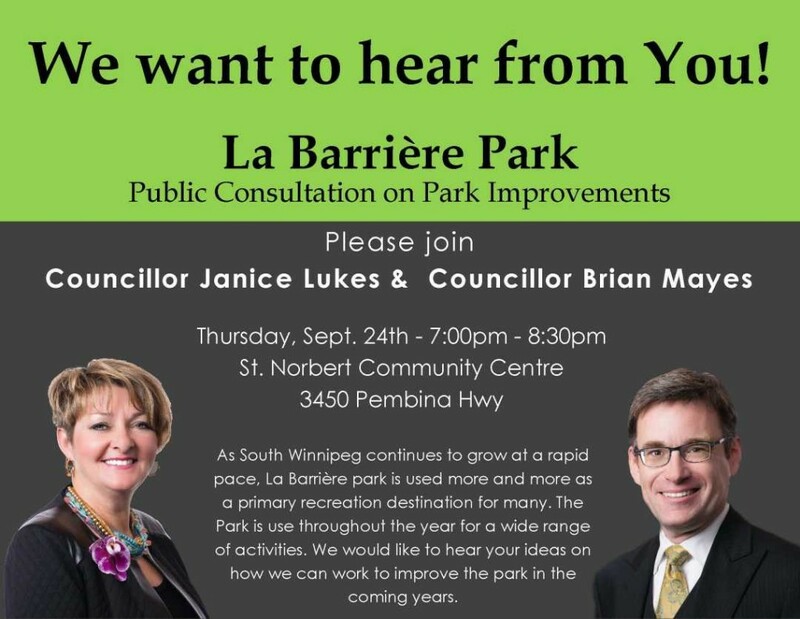 Please join me and Councillor Mayes (St. Vital Ward) for a community discussion on Thursday, September 24 regarding improvements to La Barrière Park. While this passive park offers a number of amenities, is it adequately serving the needs of residents? 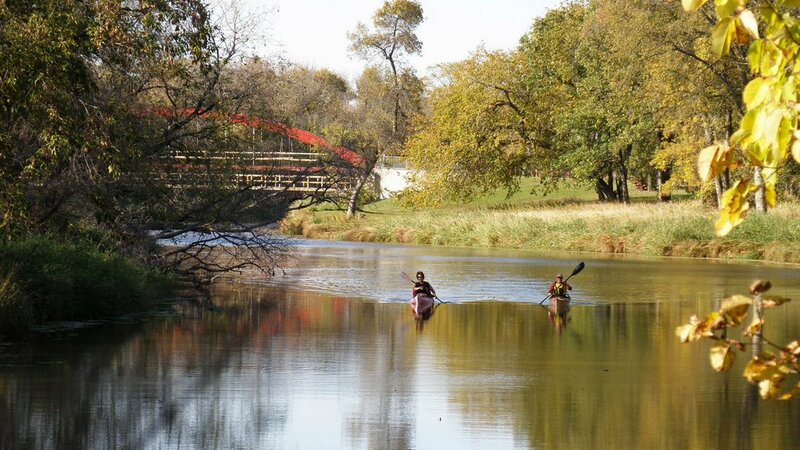 Is there a need for some new amenities such as upgraded washrooms, canoe launch, firepits, etc.? This is your opportunity to join the discussion, and provide us with YOUR comments and suggestions on this greenspace. Please drop by anytime from 7:00 to 8:30 p.m. on Thursday, September 24 at St. Norbert Community Centre, 3450 Pembina Highway. I look forward to chatting with you!